We took down our holiday decorations this weekend and I don't remember the house being this bare before the tree, garland and stockings. But like a new year, we have a clean slate with fresh room arrangements and a desire to do with less. To start, we need more glitter in 2013 and we're going to take the famous traveling C to a new level. Our last name initial started here in our bedroom. 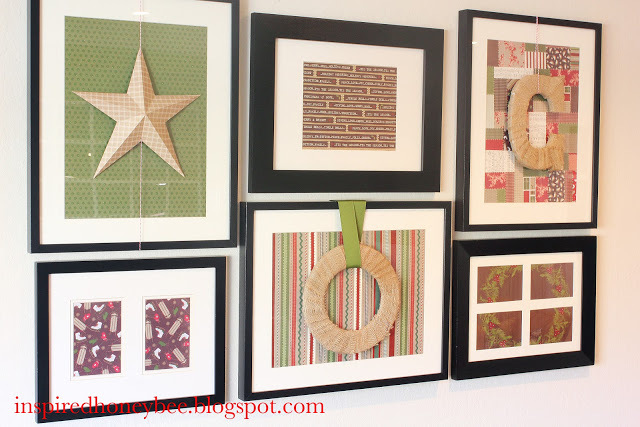 Then it had a short showing on the holiday gallery wall as a burlap letter. 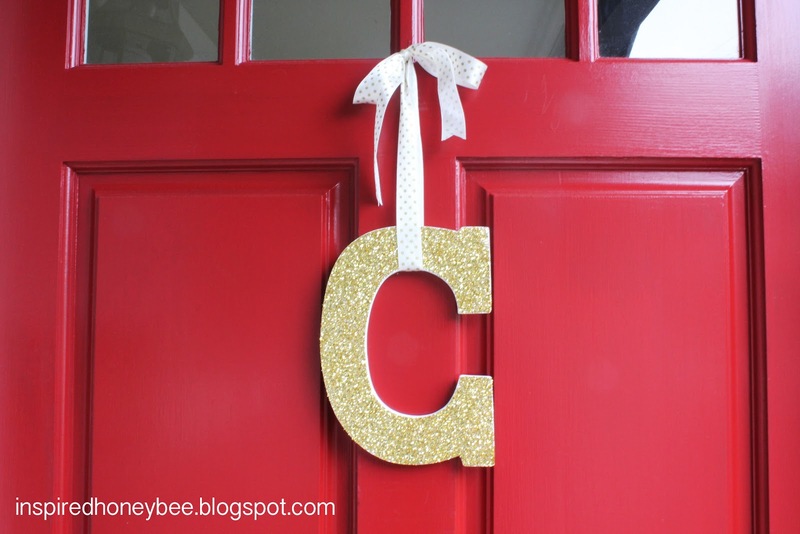 Since our front door is lonely without a holiday wreath, we want to welcome guests with a little pizzazz and sparkle! 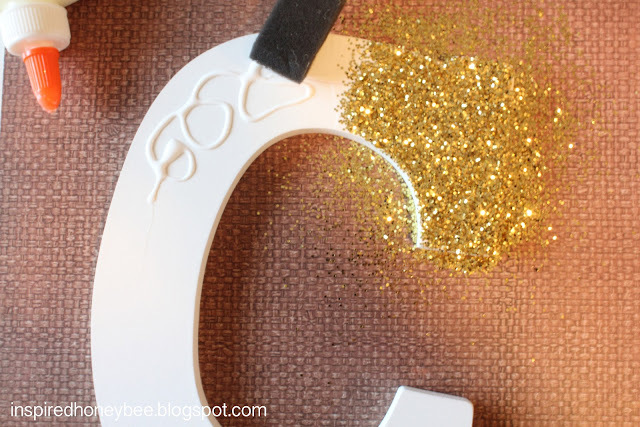 I used good old fashioned Elmers Glue, an inexpensive sponge and gold glitter. Welcome in and happy new year! 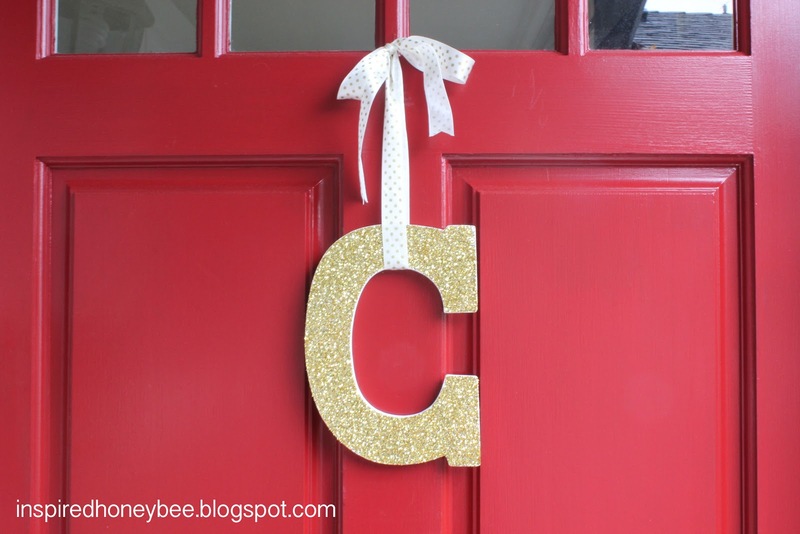 When I saw your sneak peek I had a feeling it was glitter for your front door - LOVE IT! Happy 2013 Cottons! I second Michelle! Time to sparkle in 2013!! Love your use of initials. Thanks for sharing at my Twirl & take a Bow Party. Have a great week. This looks great on the red door! Great project!! I found you through a linky party and would love to have you stop by my page if you have a chance!! 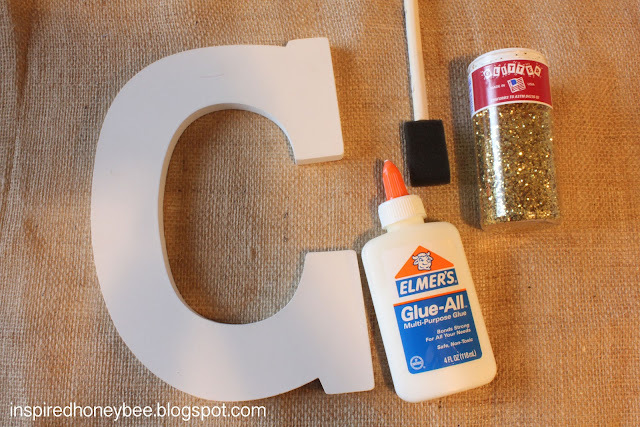 Debbie, love your sparkly C! Never thought to hang one on the door. I want to collect a few O's to hang in my craft room. Our local grocery store, Kohlers just changed to Ridleys. I called and asked if I could buy the O. Darn, they are taking it to their Lehi store. Sure would have been fun. Guess I'll have to keep looking. Thanks for sharing your fun idea with Share Your Cup.